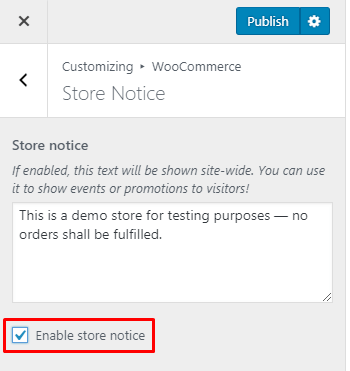 WooCommerce has a wonderful feature that’s called WooCommerce Store Notice or WooCommerce Sitewide Notice. 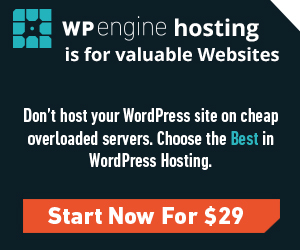 This awesome instrument allows you to put out any dismissable message throughout your entire site in just a few clicks. The code above will change notice’s background color to green, and text color to black. 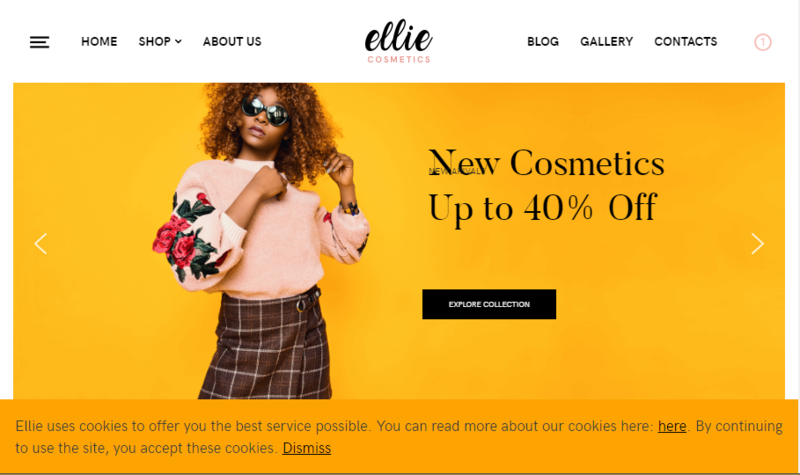 Few people realize that WooCommerce includes everything you need to create a basic sitewide cookie notice without any third party plugins or coding tricks. 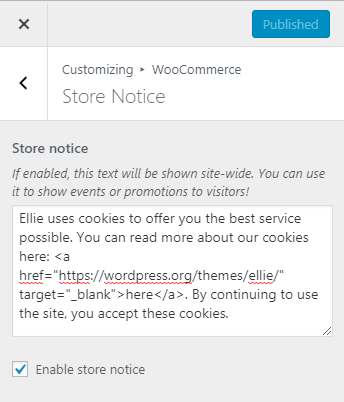 Well, maybe just add some htmk code to add a link to this policy in the store notice text.